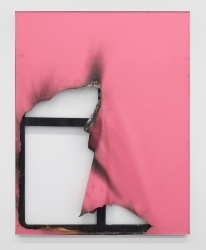 Brand New Gallery is pleased to announce the participation of Joshua Abelow, Charlie Billingham, Alain Biltereyst, Nico Colón, James Krone, Josh Reames, Joe Reihsen, Ryan Conrad Sawyer, Kasper Sonne, Kate Steciw, Keith J. Varadi, Ben Wolf Noam in the group exhibition THE GO BETWEEN: Works from Ernesto Esposito Collection, curated by Eugenio Viola at Museo Nazionale di Capodimonte, Napoli. Other artists: Sebastian Black, Ethan Cook, Nick Darmstaedter, Sam Falls, Leo Gabin, John Henderson, Parker Ito, Brendan Lynch, Helen Marten, Oliver Osborne, Hugh Scott Douglas, Lucien Smith, Martin Soto Ciment, Ned Vena, Garth Weiser, etc. Solo exhibition Ori Gersht: Slivers at Tel Aviv Museum of Art, Tel Aviv, Israel. Solo exhibition Hominid Lands di Folkert de Jong at Musee d'Evreux, Evreux, France. 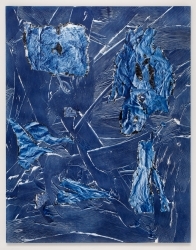 Kasper Sonne's exhibition Bad Chemistry at our gallery was reviewed on ARTFORUM's November issue. Letha Wilson in the group exhibition Ad Infinitum at American University Museum at the Katzen Arts Center, Washington, DC. 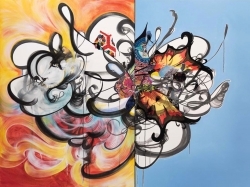 We are pleased to announce that the Danish artist Kasper Sonne has joined the gallery. 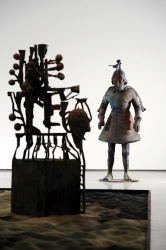 Solo exhibition The Holy Land by Folkert de Jong at The Hepworth Wakefield, Wakefield, UK. 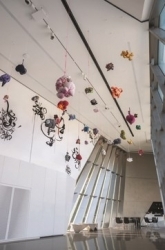 Letha Wilson in the group exhibition Branching Out: Trees as Art at Peabody Essex Museum, Salem, MA. Folkert de Jong in the group exhibition Music Palace at Villa Empain - Fondation Boghossian, Brussels. Letha Wilson in the group exhibition Somewhere Between Creation and Destruction at Joseloff Gallery at the University of Hartford, West Hartford, CT. Others artists: Tauba Auerbach, Olafur Eliasson, Claes Oldenburg etc. 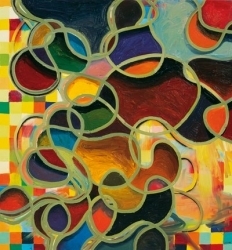 Jackie Saccoccio in the group exhibition NOW-ISM: ABSTRACTION TODAY at Pizzuti Collection, Columbus, OH. 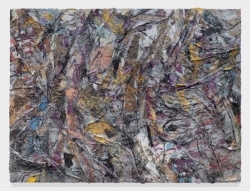 Other artists: Diana Al-Hadid, Tony Cragg, Tomory Dodge, Teresita Fernandez, Jim Hodges, Gary Hume, Imi Knoebel, Albert Oehlen, Anselm Reyle, etc. 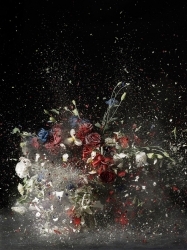 Solo exhibition Ori Gersht: Portraits at Pizzuti Collection, Columbus, OH. 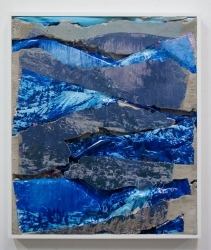 Solo exhibition Base Alchemy by John Knuth at Fivecar Garage, Los Angeles, CA. 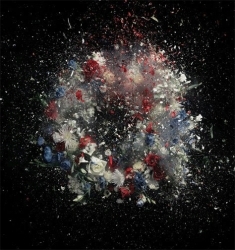 Solo exhibition Ori Gersht: Still Life at the Columbus Museum of Art, Columbus, OH. 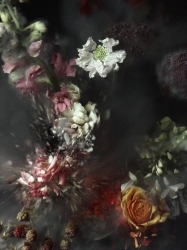 Ori Gersht in the group exhibition WAR curated by Adam Carr at MOSTYN, Llandudno, UK. 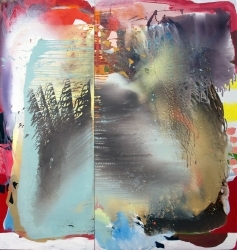 Other artists: Allora & Calzadilla, Jason Dodge, Lara Favaretto, Claire Fontaine, Kris Martin, Michael Sailstorfer, etc. Anton Henning in the group exhibition Bad Thoughts - Collection Martijn and Jeannette Sanders at the Stedelijk Museum, Amsterdam, NL. 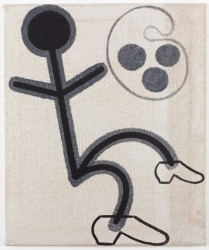 Other artists: Georg Baselitz, Thomas Demand, Gilbert & George, Keith Haring, Anselm Kiefer, Martin Kippenberger, Robert Longo, Gabriel Orozco, Cindy Sherman, Christopher Wool, etc. 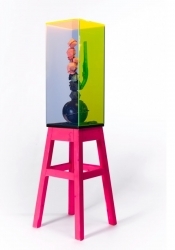 Solo show New Territory by Kasper Sonne at West, Den Haag, The Netherlands. 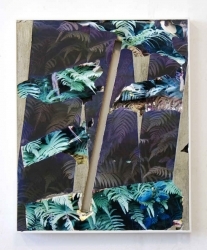 Anton Henning in the group exhibition 40/10. 40 Jahre Sammlung Frieder Burda - 10 Jahre Museum Frieder Burda at the Museum Frieder Burda, Baden-Baden, DE. 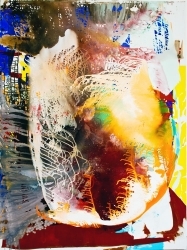 Other artists: Georg Baselitz, Stephan Balkenhol, John Chamberlain, Alex Katz, Anselm Kiefer, Imi Knoebel, Pablo Picasso, Sigmar Polke, Jackson Pollock, Neo Rauch, Robert Rauschenberg, Gehrard Richter, Mark Rothko, Gunther Uecker, Andy Warhol, etc. 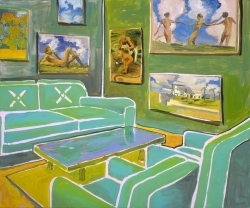 Joe Reihsen in the group exhibition NEXT at ARSENAL, Montreal, QC. 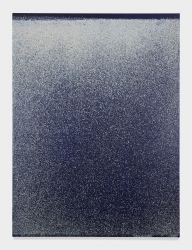 Other artists: Harold Ancart, Sebastian Black, Isaac Brest, Nick Darmstaedter, Hugh Scott-Douglas, Gavin Kenyon, Wyatt Kahn, Tony Lewis, Nate Lowman, Sam Moyer, Analia Saban, Lucien Smith, etc. 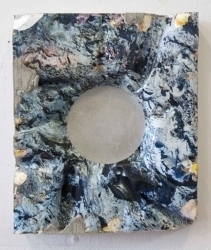 Anton Henning in the group exhibition Basic Research at the Museum Kurhaus Kleve, Kleve, DE. Other artists: Stephan Balkenhol, Joseph Beuys, Tacita Dean, Isa Genzken, Andreas Gursky, Jack Pierson, Thomas Ruff, Thomas Struth, Jeff Wall, etc. Letha Wilson in the group exhibition Road Trip: America Through the Windshield at Battleboro Museum, Battleboro, VT.
Kasper Sonne in the group exhibition Bikuben at Utah Museum of Contemporary Art, Salt Lake City, UT. Other artists: Olafur Eliasson, Jeppe Hein, Jesper Just, Jakob Kolding, Kirstine Roepstorff, etc. 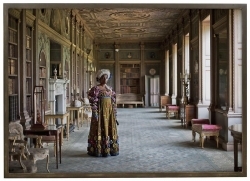 The Louis Comfort Tiffany Foundation appointed Shinique Smith as one of the winners of its 2013 biennial award. 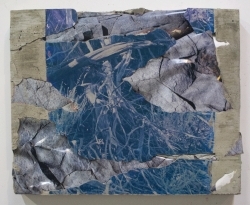 Other winners: Mark Barrow, Alex Hubbard, Tala Madani, Oscar Tuazon, Molly Zuckerman-Hartung, etc. 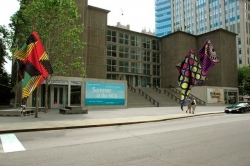 The installation Wind Sculptures by Yinka Shonibare CBE at the Museum of Contemporary Art Chicago Plaza Project, Chicago, IL. Joshua Abelow and Jackie Saccoccio in the group exhibition This One's Optimistic: Pincushion curated by Cary Smith at New Britain Museum of American Art, New Britain, CT. Other artists: Ross Bleckner, Michelle Grabner, Joanne Greenbaum, Adam Henry, Daniel Hesidence, Xylor Jane, Chris Martin, Garth Weiser, etc. 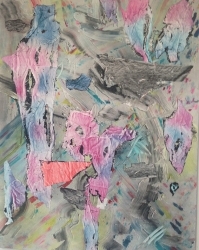 Jackie Saccoccio in the group exhibition ABSTRACT AMERICA TODAY at Saatchi Gallery, London, UK. 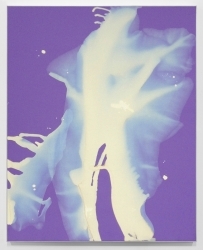 Other artists: Wyatt Kahn, Keltie Ferris, Brent Wadden, etc. 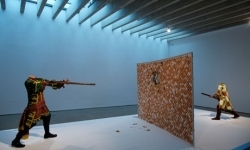 Solo exhibition Egg Fight by Yinka Shonibare CBE at the Fondation Blachère, France. Angel Otero in the group exhibition Unbound: Contemporary Art After Frida Kahlo at the Museum of Contemporary Art Chicago, Chicago, IL. Other artists: Louise Bourgeois, Martin Soto Climent, Nan Goldin, Thomas Houseago, Frida Kahlo, Ana Mendieta, Beatriz Milhazes, Wangechi Mutu, Shirin Neshat, Gabriel Orozco, Jack Pierson and Cindy Sherman, etc. 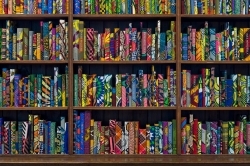 The site-specific installation Yinka Shonibare CBE: The British Library at The Old Reference Library. Brighton Museum & Art Gallery, UK. 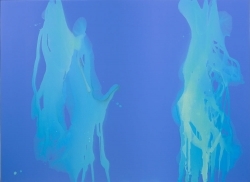 We're pleased to announce the representation of the American artist Letha Wilson. 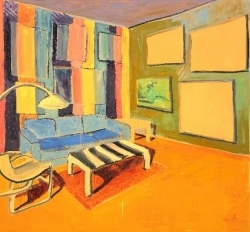 We're pleased to announce the representation of the American artist John Knuth. 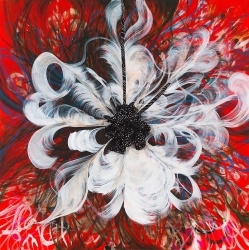 We're pleased to announce that the Belgian artist Alain Biltereyst has joined the gallery. 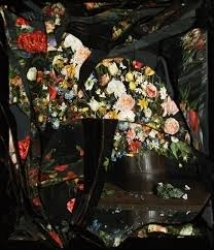 Ori Gersht in the group exhibition Bruegel Land, at Voorkamer, Lier, Belgium. 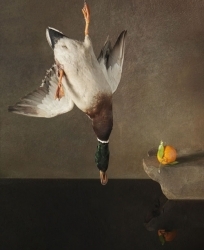 Other artists: Michael Borremans, Mark Menders, Javier Téllez, Rinus van de Velde, etc. 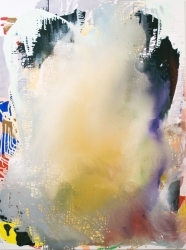 Letha Wilson in the group exhibition REDACTED at the Islip Art Museum, East Islip, NY. Other artists: Jim Lee, Lauren Luloff, Ryan Wallace, etc. 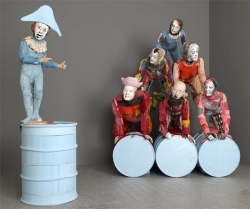 Folkert de Jong in the group exhibition Ingewikkelde beelden, at Geemente Museum, Deen Haag, Netherlands. 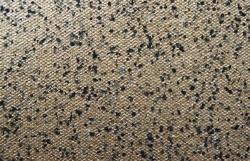 Other artists: Karla Black, Mark Dion, Berlinde De Bruyckere, Paul Thek, Fred Sandback, etc. 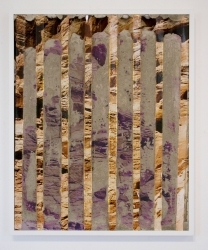 Letha Wilson in the group exhibition What Is a Photograph? at the International Center of Photography, New York, NY. 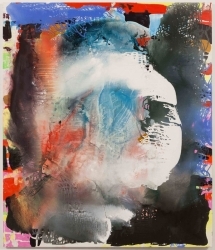 Other artists: Matthew Brandt, Liz Deschenes, Sigmar Polke, Eileen Quinlan, Jon Rafman, Gerhard Richter, Travess Smalley, Artie Vierkant, Christopher Williams, etc. 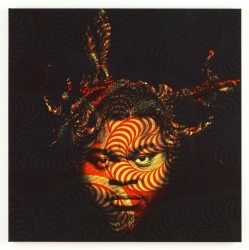 Solo exhibition Yinka Shonibare MBE: Magic Ladders at The Barnes Foundation, Philadelphia, PA.
Solo exhibition Selected Works by Yinka Shonibare CBE at Wroclaw Contemporary Museum, Wroclaw, Poland. 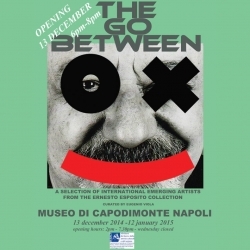 Solo exhibition Portrait Gallery by Jackie Saccoccio at Museo d'Arte Contemporanea Villa Croce, Genoa, Italy. 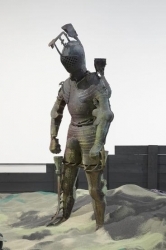 Brand New Gallery is delighted to announce the participation of Folkert de Jong, Shinique Smith and Johannes VanDerBeek in the group exhibition The Body Metonymic at Oakland University Art Gallery, Rochester, MI. 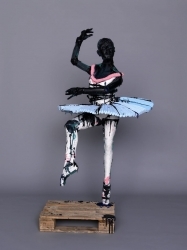 Other artists: David Altmejd, Matthew Monahan, etc. We're pleased to announce the Wooster Group's CRY, TROJANS! 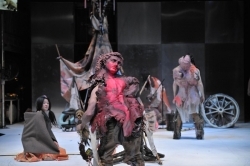 (Troilus and Cressida), a new performance piece featuring costumes, set elements and props designed by Folkert de Jong. 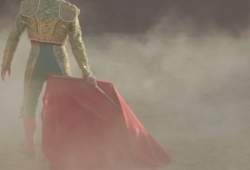 The work will preview at the Performing Garage in New York from January 8 to February 2, 2014. 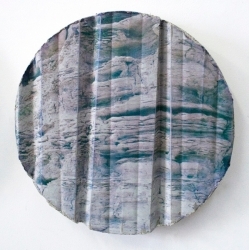 Jackie Saccoccio has been included in the list "7 Artists to Watch This January" by Andrew M. Goldstein, on Artspace. 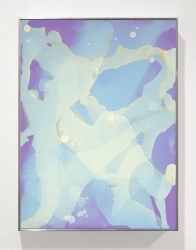 Other artists: Keren Cytter, Jason Dodge, Stan Douglas e Keith Sonnier. 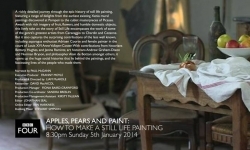 We're pleased to announce that the work by Ori Gersht will be featured in the documentary APPLES, PEARS AND PAINT: HOW TO MAKE A STILL LIFE PAINTING on Sunday 5th January at 8.30pm on BBC Four. 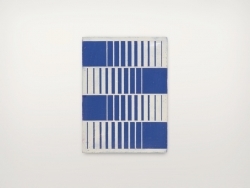 Ryan McNamara has been included in the list "New York Best, 2013" by Nicolas Baume, on Art in America. 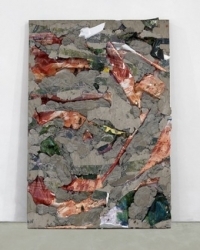 Other artists in the list: Sol LeWitt, Richard Serra, Huma Bhabha, Thomas Hirschhorn and Ugo Rondinone.